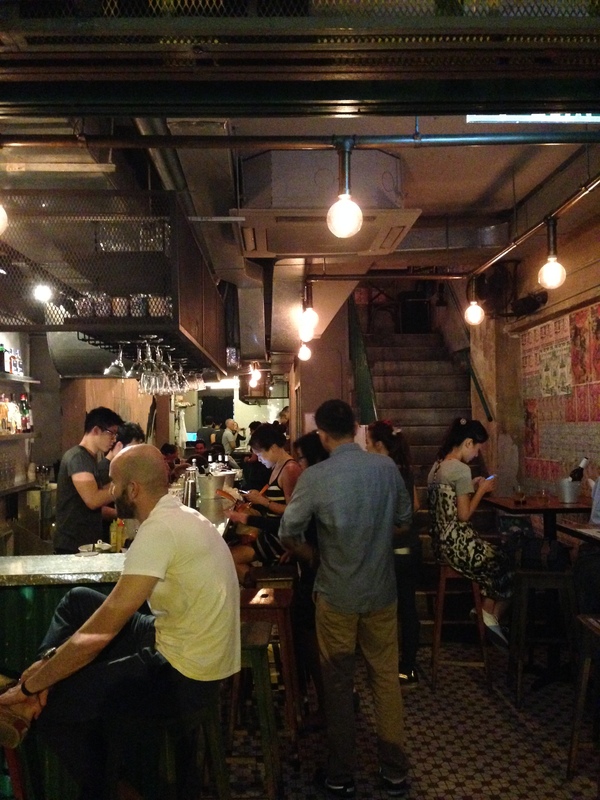 Another super trendy restaurant in Sheung Wan. This place is always busy and full the beautiful and stylish people living in the neighbourhoods. The cuisine is Issan, which is a North-Eastern region in Thailand. 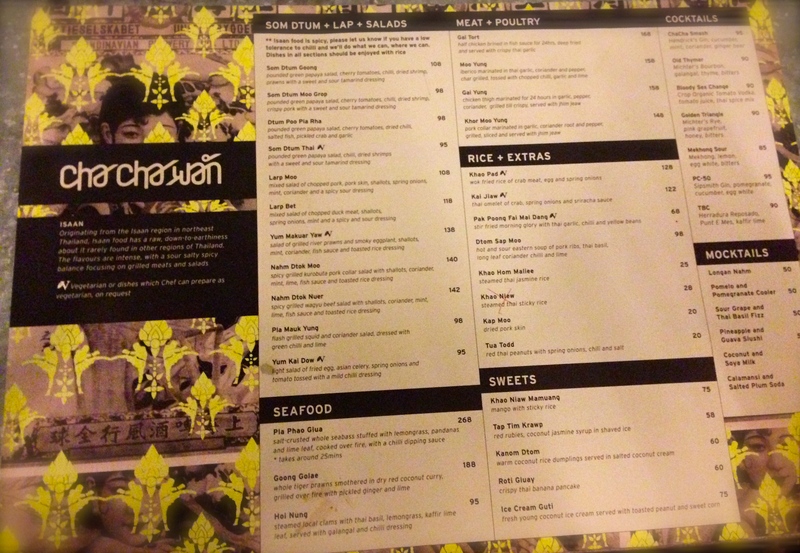 The food is inspired by street food and lacks the basic thai dishes (such as pad thai). The dishes are mostly meat and seafood based with heavy use of spices and herbs. We sat on the counter and could observe the chefs in work. I loved that they use a ton of fresh herbs and vegetables to spice up the dishes. I had a beef salad – extremely hot but I loved it. My mom had a prawn salad – good but the smoky eggplant was too hot to finish (and we can take quite a lot). My dad had the king prawns, delicious too but the portion could have been bigger or included something on the side. Order rice to balance the spiciness! For dessert, if you like coconut and peanuts (some of my favourite foods), try Ice Cream Guti. Conclusion: the food is delicious yet very hot. 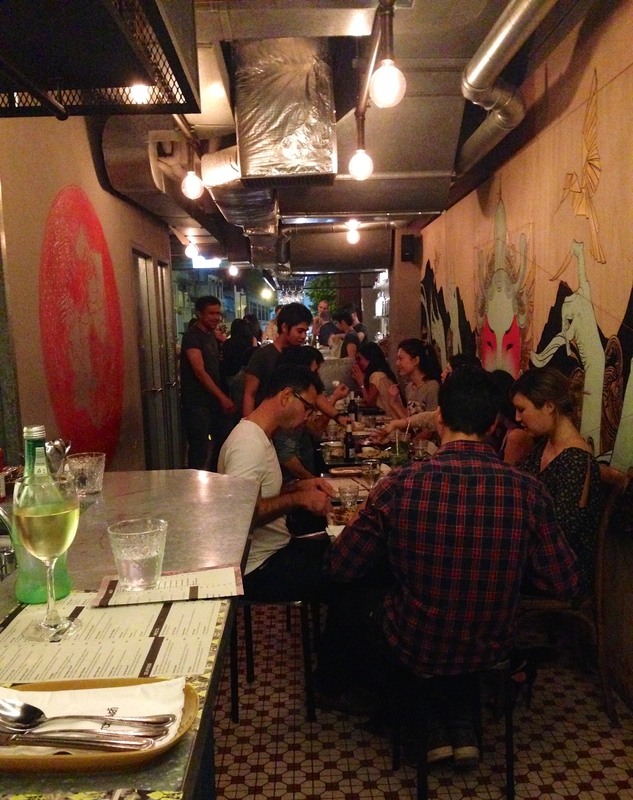 The atmosphere is perhaps the best feature of the restaurant, there’s a constant buss in a good way. A bit more pricy than most traditional thai restaurants but the atmosphere and food makes it wort the extra. Main dishes are around 100-150 HKD (tiger prawns 188).